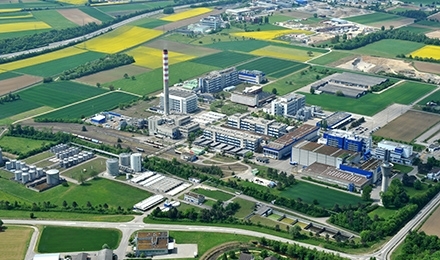 Royal DSM, a global science-based company in Nutrition, Health and Sustainable Living, today announced that it reduces its CO2emissions at its vitamin production facility in Sisseln, Switzerland, by 50,000 tons/year through a new biomass heat and power plant on the site. The power plant was built, is owned and will be operated and maintained by energy company ENGIE and Swiss energy provider ewz and was officially opened today, by among others CFO Engie Judith Hartmann, CEO DSM Feike Sijbesma, CEO ewz Marcel Frei and president and CEO of DSM Nutritional Products Chris Goppelsroeder. DSM’s vitamin site in Sisseln produces amongst other things DSM’s high-quality Vitamin A and E (Quali®-A and Quali®-E) for customers worldwide.